mTrip App Review – November’s AOTM! Travelling abroad can be scary stuff, whether you’re on your own or in a group of friends. The most important thing when you’re abroad is to make sure you’re organised — but we know that’s a lot easier said than done! Luckily, if you’re not the most switched on lamp in the shop, help is available! You’ve got it, there’s an app out there that can be your personal sorter-outer, so you don’t have to worry – meet mTrip, November’s App of the Month! 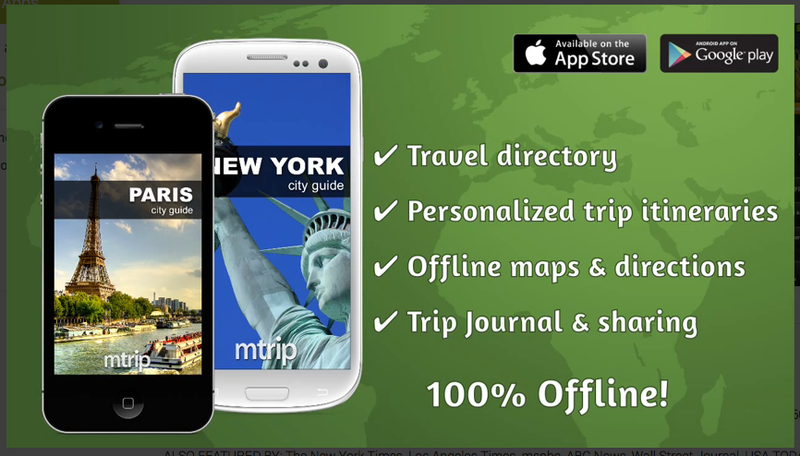 mTrip features a free home app for general management, and different travel guides for places all over the world, at a cost of £2.99 each. 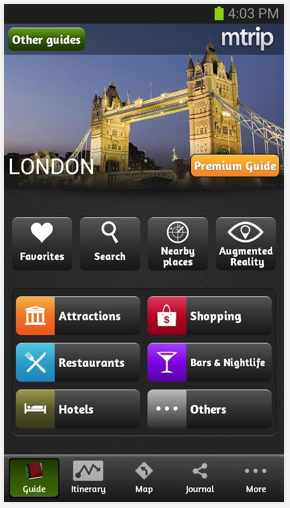 The main aim of the app is to generate an itinerary for you, based on your travel interests, accommodation, personalised favourites, pace preference, opening hours and the ratings of other visitors. With all of this clever stuff going on, you’ll need somewhere to keep track of everything. That’s what the Dashboard is for! View your itineraries, favourite places and trip journals all in one easy to manage location. Going abroad never seemed so simple! Plus, if organisation isn’t your strong point, postcards probably get lost along your list of things to do. Send them via email or Facebook right from your mTrip dashboard, with all the hassle of stamps and postage delays eliminated. This app has received quite the selection of write-ups from some pretty big names, and even won an award or two! iPhone users on the other hand haven’t been quite so quick to add reviews, and the app currently remains unrated. Google Play is a mixed bag of very satisfied and rather unimpressed! We still think that is well worth downloading this nifty little app so you can take the stress out of your trip, and use all that extra energy for having fun! This entry was posted in travel apps on November 22, 2013 by worldwideinsure.